Yolanda Russo, who has been working in the beauty and wellness industry since 1996 and recently has created a Beauty On Command: Natural Face Lift Made Easy training program that is going to be available for sale by the end of the year joins eHealth Radio and the Anti-Aging and Skin Care Channels. Is it possible to get rid of wrinkles naturally? What about the double chin. No one can argue that this is an extra skin that has accumulated over time. What is Natural Face Lift? What is the difference between Natural Face Lift and Facial Yoga or Exercise that you can find everywhere? Why do you say Wear a smile at all times not to only will you look better but you will feel better? What made you to have such a passion for Health and Beauty. Yolanda Russo, came from Poland in 1990 with a degree in Biology which allowed her to apply her knowledge to massage therapy and later skin care. She was awarded the skin care license in 2001 and started her journey in helping people to look and feel better naturally. 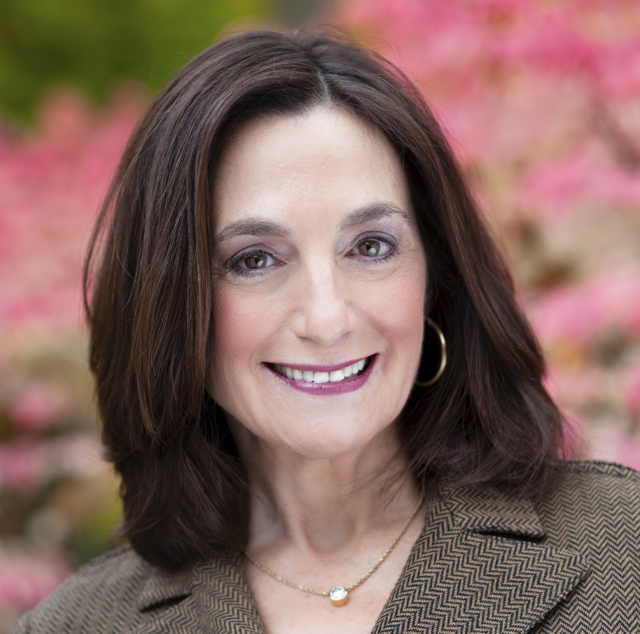 In 2009 she migrated to Caldwell, North Jersey and after relentlessly building her new practice she was testing a product that is now known as Beauty On Command: Natural Facelift Made Easy. Her diligence and amazing results her clients were reporting allowed her to offer a unique and well tested service called Natural Face Lift using European Face Massage combined with old fashioned cupping to deliver healthy and lasting results. 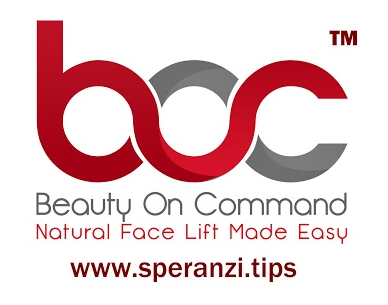 Yolanda Russo is now creating a MOVEMENT in giving people a choice between risky and unnatural face lifts to a pleasant and equally effective Natural Face Lift Formula offered at Speranzi Facial Spa, Caldwell, NJ. 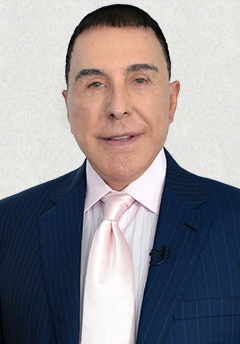 She is actively working with Clint Arthur, local media expert to appear with this message on every local TV station in 2015 which later will lead to a guest appearance on Dr. Oz, Oprah and major TV networks. For more information about the servies and testimonials please visit www.speranzi.com. 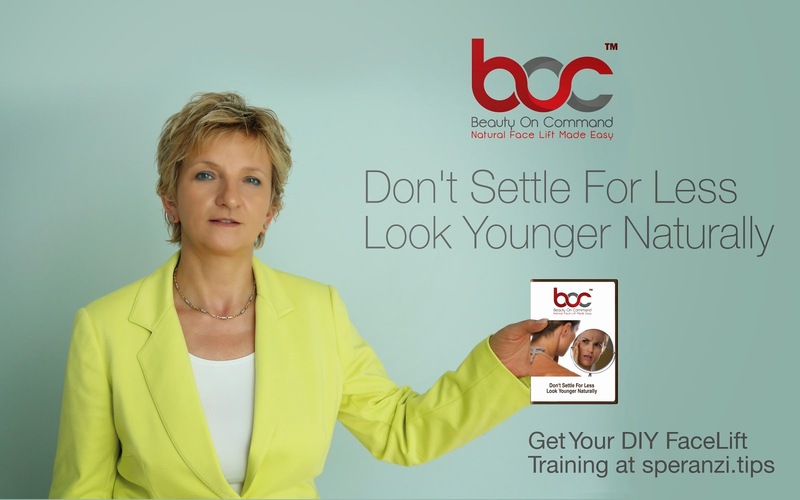 Note: The Beauty On Command: Natural Face Lift Made Easy Training Program is scheduled to be available by the end of the year - STAY TUNED! Dennis McGuire, CEO of CodeBaby, where they make decision support tools and 3D intelligent virtual assistants that empower and help consumers manage and make informed healthcare, insurance, and employee benefits decisions for themselves and their families again joins eHealth Radio and the Healthcare and Technology Channels. Dennis discusses how an online/mobile strategy within the healthcare and health insurance space can be tailored to meet the customer where they are based on usage trends, demographics, and content. As we have now entered the second ACA open enrollment period, what has been the trend progression and what do you see evolving over the next few months or even years? So what does CodeBaby do specifically in these digital channels? What is a typical funnel approach like? How does this funnel approach work in a mobile environment? Is it any different? Can you share with us any use case or user feedback from engaging with avatars and tools as people enrolled in health insurance? Dennis McGuire possesses over 25 years of experience developing innovative solutions for marketing, sales, and customer care organizations across multiple industries. His recent career history includes serving as VP of Star B2B, a start-up venture within the Omnicom family of agencies, where he was responsible for strategy development and operational execution, EVP at Protocol Marketing where he headed the company’s B2B agency services group, and founding partner and President of Saligent Inc., which was acquired by Protocol Marketing in 2000. In addition to his accomplishments in the agency and high-tech space, Dennis has experience within the CRM and customer contact center industries where he gained expertise in multi-channel marketing, resource optimization, revenue growth, customer lifetime value optimization, and strategic account management. His combined career tracks give him a unique perspective on the rapidly growing customer experience management marketplace and the importance of improving the online self-service experience across all industries in order to maintain and increase brand loyalty and revenue growth. He is consistently sought for insight on the trends, benefits, and uses of virtual assistants within the healthcare, self-service, and eCommerce space by major publications and analysts such as Employee Benefit News, MedCity News, CRM Magazine, Forrester Research, Gartner Research, and IDC among others. 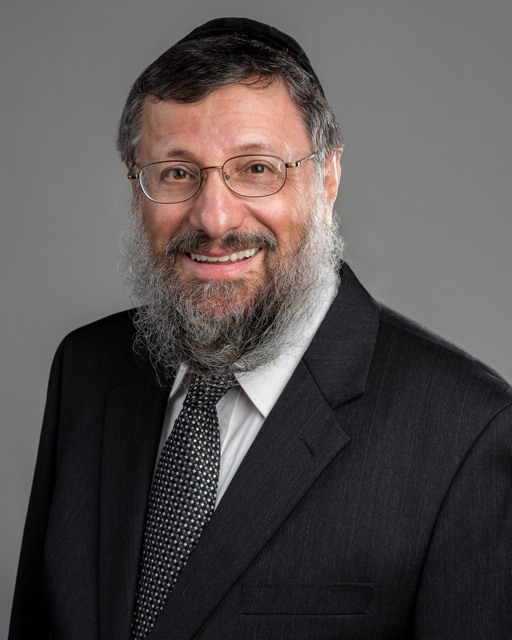 Mosche Doman, President and Founder of Combined Distributors, Inc., the U.S.A. distributors of Pill Terminator joins eHealth Radio and the General Health and Health News Channels. 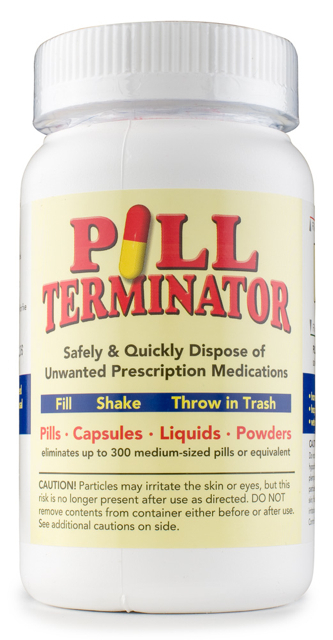 Pill Terminator is the answer to expired or unused medications. What inspired you to distribute Pill Terminator in the United States? Why use Pill Terminator versus disposing in the garbage or bringing back to your pharmacist? How exactly does Pill Terminator work? How many pills can it hold? Where can you buy Pill Terminator? What is the cost? Summary: Pill Terminator is the answer to expired or unused medications, not only can it save our environment from the chemicals released from the medication it can also protect our children and pets from being poisoned from leftover meds. Graduate of UCLA with major in economics. Lived and worked for over 20 years in Southern Africa as local sales liaison for international companies needing a sales presence in Sub Saharan Africa. In 1997, moved operations back to America. Successfully brought to market a nonpoisonous fly trap, Flies be Gone (18 Billion Flies Can’t be Wrong). This proved to be of significant value and demand in the Iraq war. Flies be Gone was designated with a prestigious National Stock Number and received a Department of Defense contract. Several years ago, Doman realized the difficulty of prescription pill disposal in the United States. With the death of a loved one in his family, he tried to do the “correct thing “ and return the unused medications to the local drug store, but was met with a firm drug store refusal. Shortly thereafter, at a trade show in Orlando, he met an international chemist, David Best of England who developed and had successfully marketed a medication disposal kit Britain for years. Realizing the growing danger of prescription medications winding up in dangerous situations, Doman and his wife Brenda launched Pill Terminator in the United States. Mosche and Brenda proudly call themselves the finest Mom And Pop company in America. 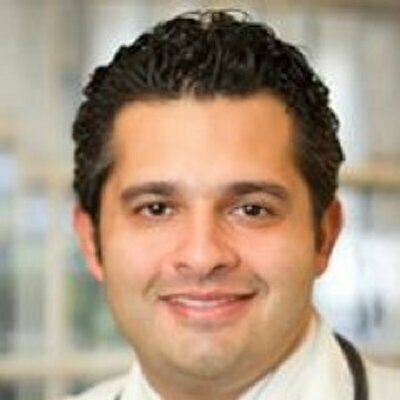 Dr. Shawn Khodadadian, the director of clinical nutrition in the division of Gastroenterology at Lenox Hill Hospital and owner of Manhattan Gastroenterology joins eHealth Radio and the Gastrointestinal & Nutrition Channels. What is abdominal bloating and what are some common causes? What is the purpose of hydrogen breath testing? What symptoms do patients who would benefit suffer from? In what ways are the results helpful? We've talked a lot about bloating, what are some steps to avoid these symptoms? Are there any supplements that one can take to help with gas discomfort? Dr. Khodadadian went on to complete his internship and residency in Internal Medicine followed by a three year fellowship in Gastroenterology, Hepatology and Nutrition at Lenox Hill Hospital in NYC. During fellowship, Dr. Khodadadian received grants to pursue specialized training in Inflammatory Bowel disease at the University of Chicago as well as training in liver disease at the Sinai School of Medicine. After receiving specialized training at Memorial Sloan Kettering, Dr. Khodadadian became one of a select few physicians board certified as a physician nutrition specialist by the American Board of Physician Nutritionists. Dr. Khodadadian feels strongly that nutrition plays a key role in general wellness and disease prevention, particularly in digestive diseases. As part of his comprehensive evaluation, Dr. Khodadadian incorporates nutritional interventions and lifestyle modification into his treatment plans. Dr. Khodadadian is currently an attending physician at Lenox Hill Hospital in NYC and serves as the Director of clinical nutrition. He is also a clinical instructor at NYU Langone Medical Center in NYC. Dr. Khodadadian has been voted by his peers as a Castle Connolly Top Doctor as well as New York Super Doctors. 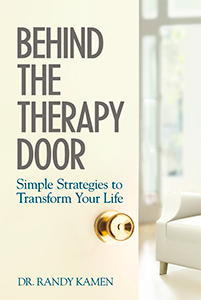 Dr. Randy Kamen, psychologist, educator and author of Behind the Therapy Door: Simple Strategies to Transform Your Life joins eHealth Radio and the Stress Management and Personal Development Channels. What’s your expertise and focus in the field of psychology? Your book is titled “Behind the Therapy Door”. Does this mean you advocate that therapists should be more open about their professional knowledge and role in their patients’ journey? What are some of the toughest challenges women face and what are the most important skills you teach them to deal with these challenges, as discussed in your book? In your opinion, what makes your approach different from other experts in your field? What would you consider the single most important thing we can all do on a daily basis to deal with challenges and transform our life for the better? How does abdominal breathing work? Randy Kamen, ED.D. is the author of Behind the Therapy Door: Simple Strategies to Transform Your Life. She is a psychologist and educator who has pioneered new territory in mind-body medicine at Boston University's School of Medicine and Harvard's Spaulding Rehabilitation Hospital. She has long been on the leading edge of her profession, integrating insight oriented and cognitive behavioral therapy with holistic methods in her research and clinical work. She helps women build on their strengths and implement new strategies to deepen their experience of insight, healing, and happiness. 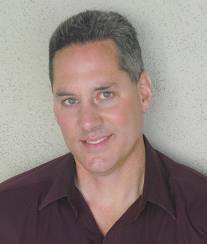 Dr. Kamen has appeared on numerous TV and radio programs. She writes for the Huffington Post and other media outlets. Follow her on Twitter and Facebook @DrRandyKamen to learn about her speaking engagements and women's retreats on Martha's Vineyard and around the country or visit her website DrRandyKamen.com. Harsh Singh, co-founder of Afford A Scan, a website that empowers health care consumers to find high quality scans at an affordable price. People can search for radiologists in their area, research their background, compare prices and book an appointment all on one central website. The idea behind Afford a Scan is pretty interesting. Can you tell us a bit about the company's background and what you do? How does this benefit health care consumers? On average, how much can a person or family save on health care costs using Afford A Scan? Do you think Afford a Scan and other companies that aid in transparent health care costs and consumerism can change the way our country provides health to its citizens? AffordAScan.com is a specialized Radiology Marketplace where imaging facilities compete for consumers by offering value. The consumers instantly view prices, compare quality and book an appointment online across facilities. Imaging facilities win by filling the available time slots, complying with price transparency regulations and increasing overall revenue. Consumers benefit from transparency and competition driving better value. Their mission is to create an easy to use, HIPAA compliant and secure online e-commerce platform for diagnostic imaging services. Why AffordAScan.com? Diagnostic Imaging services accounts for 5-10% of the overall healthcare spend in U.S – a staggering ~$140 billion dollars a year. Research indicates that there is significant – up to 200-500% price variation across imaging facilities for similar quality scans in the same geographical area. This price variation exists for both cash and insurance negotiated rates. Patients are sharing higher cost burden for their own healthcare with the increased utilization of high deductible plans like CDHP. Patients are now demanding greater price and quality transparency – no less a revolution compared to how healthcare services were utilized in the past. Yet current and popular cost transparency tools are unable to satisfy the needs of the patients. In Healthcare, it has never been just about costs – it is always about Value - Quality and Costs. We need answers to – Where is a high quality MRI machine available? Do they have a Radiologist or a technician providing the service? I am claustrophobic – do they have an Open MRI? How does the quality of an MRI or CT scan affect me? Beyond transparent prices, answering those questions requires an online Marketplace dedicated to Radiology. AffordAScan.com helps facilities highlight strengths, make available the unfilled slots while attracting new insurance, Medicare and cash patients by offering online scheduling. AffordAScan.com also helps facilities comply with state healthcare transparency legislation requiring price and quality transparency to consumers. We promote locally at large employers, payors while reaching to consumers across the region using Offline and Internet and Social Marketing.AffordAScan.com is built by a team with experience in building world’s largest e-commerce marketplaces along with deep healthcare expertise. Dr. Alfred O. Bonati, Founder and CEO of The Bonati Spine Institute, that has revolutionized the field of spine surgery joins eHealth Radio and the Spinal Health Channel. Dr. Bonati has created, patented and perfected minimally invasive laser spine surgery called The Bonati Spine Procedures and has successfully treated over 94% of his patients with complete satisfaction. Can the holidays be tough on your back? What do you need to do to be aware of when hanging decorations or preparing for the holidays? If you already have a bad back, what precautions should you take when it comes to the holidays or lifting? If someone hurts their back, what signs lead you to see/visit your doctor? What exactly is The Bonati Spine Procedure and how is it different from other back procedures? TIP: In summary, whenever taking on a task, especially during this time of year, you need to be careful of your back. If you already suffer from back pain, have someone help you instead of doing the task like decorating yourself. In conclusion, if you have any questions with back pain always visit with your doctor. After researching back, neck and joint pain for many years, and finding poor results and unsatisfied patients, Dr. Alfred O. Bonati revolutionized the field of spine surgery. Dr. Bonati created, patented and perfected minimally invasive laser spine surgery called The Bonati Spine Procedures by applying new methods and techniques including arthroscope and laser instrumentations nonexistent at that time. As part of the advancement of his procedures, Dr. Bonati developed a new set of treatments based on his work with lasers, e.g., Holmium YAG, and received FDA approval for the use of that laser for the first time on the human spine as part of his patented procedures. Until he came along, there was only traditional invasive open spine surgery. The patented Bonati Spine Procedures are highly successful and reflect over 94% patient satisfaction. More than 45,000 successful procedures have been performed at The Bonati Spine Institute. In 1981, The Bonati Spine Institute was established in Hudson, Florida. The state-of-the-art facility contains its own imaging center, clinic and operating rooms, and offers access to registered nurses, orthopaedic and neurosurgeons. Dr. Bonati continues to lead the way in the study of laser technologies to treat cervical, thoracic, and lumbar spine problems. Dr. Bonati is a strong advocate for patient rights and quality medical services. Outside of his professional duty to look after the well-being of his patients, Dr. Bonati seeks to better the lives of the members of his community through his commitment to charitable service. 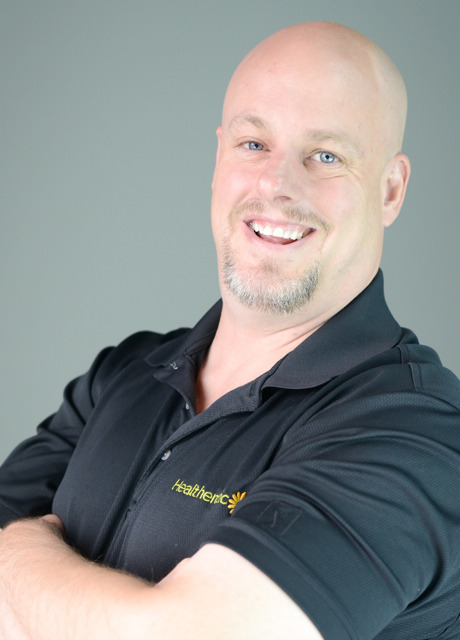 Sean Gallivan, Chief Operating Officer of Healthentic, a company who is striving to revolutionize how employer groups manage and quantify their wellness programs joins eHealth Radio and the Health Care & Technology Channels. So what is Healthentic and what do you do? Why do you think it’s so important for businesses to measure population health? Who are some of your current customers? How are these customers using Healthentic and what kind of feedback have you received? How does Healthentic play into the current landscape of wellness programs and health data analytics? What do you see as the future of healthcare technology? 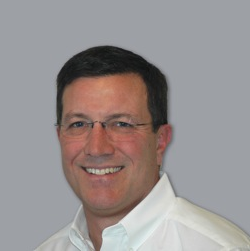 Sean Gallivan is the Chief Operating Officer at Healthentic. Sean is an expert on using big data as a way for employers to improve population health. He previously worked in the healthcare division of Thomson Reuters. Peter Fatianow, the President and CEO of Somnia, a new retail sleep solutions store located just outside of Denver, Colorado in the Park Meadows Mall joins eHealth Radio and the Sleep & General Health Channels. Why is sleep so important for us all to get right? Tell us about how you came up with the idea to start Somnia? What do you offer at the Somnia store? Name a few ways someone can vastly improve their sleep sanctuary? Let's talk about sleep apnea. You've mention that sleep apnea goes undiagnosed for so many people, why is that and what is the solution for these folks suffering from this sleep disorder? 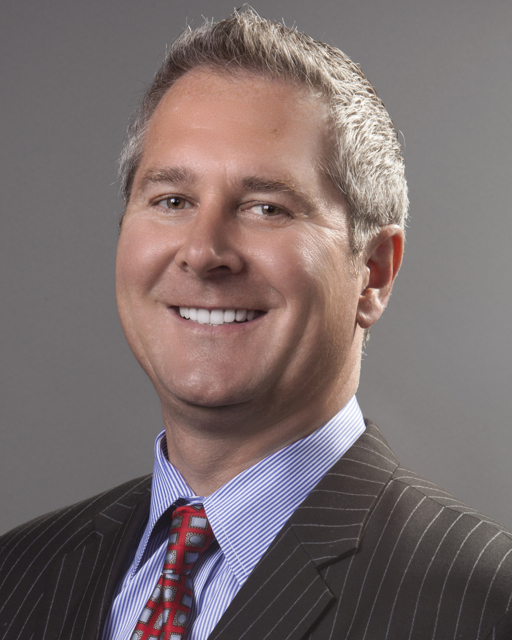 Peter Fatianow is the President and CEO for Somnia, a new retail sleep solutions store located in Park Meadows Mall in Lone Tree, Colorado. Fatianow founded Somnia along with his partners, Mats Wahlström, and Kerry Hicks, all of KMG Capital Partners, LLC, to achieve their shared vision of helping the 40 million of Americans suffering from chronic sleep disorders overcome their issues and significantly improve their overall mental and physical health. With more than 20 years of healthcare industry experience, Fatianow is keenly qualified to develop a sleep and wellness concept store. He was part of the founding management team at HealthGrades®, Inc.®, where he was pivotal in developing products and data sets that ultimately helped the company grow until it was ultimately sold to Vestar Capital Partners for $295 million in 2010. Previously, Fatianow was a founder of Specialty Care Network, Inc. (SCN), a physician practice management company that went public in 1997. Prior to SCN, Fatianow was a healthcare investment banker with Credit Suisse in New York and Morgan Keegan in Memphis, Tennessee. After taking a sabbatical from his work in the healthcare industry, Fatianow and his wife opened two successful restaurants in the Denver area (which his wife manages today). He also wrote a book for beginning wine enthusiasts, Wine 101: A Fun and Informative Introduction to the Wonderful World of Wine. Finding that he couldn't stay away from the healthcare industry for long, Fatianow eventually returned as the Vice President of Development at Health Ventures, until January 2013 when he left to research the sleep market and eventually went on to develop the first comprehensive sleep and wellness concept store, Somnia. He also serves on the Board of Assistive Coding, LLC, a specialty medical coding and consulting company based in Littleton, Colorado. Fatianow currently resides in Denver with his family and enjoys spending time with friends and family, enjoying good food and wine, traveling the world, and taking care of his 125-gallon reef aquarium.